-Is a major threat to integrative medicine practice rolling south and west from Nova Scotia's medical board? -IHPC Brings 2706, CAHCIM and Allina to Congressional Briefing on "Easing the US Healthcare Crisis: The Role of Integrative Health Care"
-AHA, hospital transformation and leadership via the CEO of Hospital Corporation of America: health creation? -Early notice: July 2015 conference on the "Process of Integrating Evidence (PIE) for CAM Educators"
-Trends and "Tremors in the Massage Industry"
The US Veteran's Administration recently sent a media release announcing that VA Initiative Shows Early Promise in Reducing Use of Opioids for Chronic Pain.The article notes that the comprehensive initiative includes "an emphasis on patient education, close patient monitoring with frequent feedback and Complementary and Alternative Medicine practices like acupuncture." Robert Petzel, VA's Under Secretary for Health is quoted: "The Opioid Safety Initiative is an example of VHA's personalized, proactive and patient-centered approach to health care. We are also using a full-range of support treatments for Veterans, including Complementary and Alternative Medicine. We are delivering health care with the patient's long-term personal health goals at the forefront." The program includes a pain monitoring app. 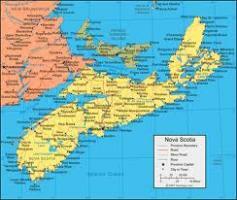 Nova Scotia: trend setter in restricting integrative practice? Is a major threat to integrative medicine practice rolling south and west from Nova Scotia's medical board? Respect the autonomy of patients in choosing from available treatment options. The guidelines go on to allow a physician to "discharge" a patient who does not consent to these guidelines. The Nova Scotia group worked off a document prepared by their colleagues in British Columbia. Comment: Such guideline writers need to ask what to do if one has first rate evidence on how to suppress the symptoms of a disease but only impressionistic evidence on how to get at root causes and create health. In this context, how then does one respond as an "ethical physician" to the second bullet on delay of suppression? And how ethical is it to decisively suppress symptoms if we have some evidence that the problematic causes may altered if one only takes another approach? Foley wonders what will become of integrative medicine if the guidelines embraced in Nova Scotia are widely embraced across Canada and sweep through the U.S.
IHPC Brings 2706, CAHCIM and Allina to Congressional Briefing on "Easing the US Healthcare Crisis: The Role of Integrative Health Care"
Kahn/IHPC report-Chesney: I think the presentations built well. I was the set-up person, using material from the IOM Report "Shorter Lives, Poorer Health" to identify what the crisis is; distinguish between the contributions of prevention and those of health promotion/health creation; also the needed synergy between integrative health care and integrative health policy. Margaret Chesney, PhD, chair of the Consortium of Academic Health Centers for Integrative Medicine (CAHCIM) and integrative medicine leader at UCSF Osher Center, explained IM/IHC and used heart disease exquisitely to illustrate the problem, and the difference between usual care and integrative care. She illustrated the growth of IM/IHC through the increase from 8 to 57 centers in CAHCIM between 1999 and today; and the comparable growth in number of hospitals offering integrative healthcare services. She offered good cost data, including Ornish's work on both heart disease and prostate cancer - the latter showing telomere growth which is hugely important. The Kahn/IHPC report continues-Baechler: "Courtney Baechler, MD, MS, a cardiologist, and Chief Wellness Officer & Vice President, Penny George Institute for Health and Healing, Allina Health, presented on Allina's growth from 2003-present. She gave the audience a good picture of the size and complexity of the Allina system; the decision to move from a single site - the Penny George Institute of Health and Healing - to ultimately seeking to integrate all 13 hospitals. The range of things Allina is doing - in-patient and outpatient, community-based programs, etc. is impressive - as is their data. Across these presentations people saw examples of IM/IHC in relation to chronic pain, heart disease, cancer, spinal fusion, and more. And the problem identified in the first presentation - that the US has been getting a horrible return on investment when it comes to health care $$ spent, was well-answered with a look at Allina's and Ornish's cost data. Kahn/IHPC report concludes - Wisneski: Finally Len Wisneski, MD, IHPC's chair and faculty member at Georgetown University, George Washington University and University of Colorado, capped the presentations by focusing on the common sense of IHC, the importance of 2706 and use of the full healthcare workforce, importance of supporting the two active bills bringing IHC into the VA and DOD, and on IMPriME and the importance of training physicians for these times and this kind of team work, especially knowing when to refer to other kinds of providers." Comment: Kudos to the Integrative Healthcare Policy Consortium for the time, energy and expense of organizing this meeting, and to the contributions of Chesney and Baechler and their respective organizations. For all the talk of health reform and "transforming" the medical industry toward health, very few in this community ever set foot in the nation's Capitol where the lever's get pulled that make new directions possible. Who knows which staffer in IHPC's briefing room might add just the right language in a bill? Notably, Kahn reports that she and Wisneski also pointed out to the staffers that as federal employees, they may be among the first Americans to benefit from Section 2706, as Blue Cross Blue Shield included in their pamphlet to federal employee plan participants that "we now cover any licensed medical practitioner for covered services performed within the scope of that license, as required by Section 2706(a) of the Public Health Service Act (PHSA)." The quasi-governmental National Quality Forum has a good deal of clout in the emergence of the new system for medicine. The organization sets standards by which quality will be measured, and compared, between plans and systems. The American Association of Naturopathic Physicians recently chose to join the NQF and, according to CEO Jud Richland, MPH, "successfully nominated Christian Dodge, ND, to serve on the Musculoskeletal Measures Standing Committee." (To a query, Richland noted that there is also a chiropractor on the committee, John Ventura, DC, via NQF member the American Chiropractic Association.) Richland notes that the AANP has another nomination in for a second committee. "Our goal in joining NQF is obviously to influence the health system to place greater emphasis on whole person care and integrative medicine," explains Richland, adding: "We know that what gets measured gets done, and NQF is the most influential organization in determining what gets measured." Richland states that the AANP "certainly anticipates placing AANP members on a number of the measure development committees in the future." Comment: Inside the Academic Consortium for Complementary and Alternative Health Care, with which I work, we talk about the value in placing key representatives "of the values, practices and disciplines associated with integrative health and medicine" in every important healthcare dialogue. Kudos go to the AANP, and to the ACA, for having the foresight to be involved in this significant process. "In all tiers of the healthcare system, from the uninsured to those on public and private plans, coverage is needed for comprehensive, interdisciplinary modalities of treatment like CBT [cognitive behavioral therapy], physical therapy, stress management, rehabilitation, complimentary [sic] and integrative therapies (CIM) and alternative therapies and medications that are known to be effective and safer than usual care. At minimum, all payers should provide three months coverage for an interdisciplinary integrative pain evaluation and treatment program for people with pain that is severe enough to warrant ongoing therapy, that has failed or is not expected to respond to first-line therapies, and that is not expected to resolve in the foreseeable future." The American Academy of Neurology has issued a guideline on "CAM" and multiple sclerosis in which only cannabis is high enough on the team's scale to merit a recommendation. The March 24, 2014 release was entitled "Guideline: Medical Marijuana in Pill Form or Oral Spray May Ease Some MS Symptoms; Little Evidence Other Complementary or Alternative Therapies Work." An AAN Patient Summary notes "weak evidence" that supports use of Gingko Biloba, reflexology and magnetic therapy. This AAN page guides one to evidence and conclusions. The AAN has engaged a significant outreach effort to promote its new guideline. The theme of the 2014 IN-CAM Research Symposium is "The Next Wave of Complementary & Integrative Medicine Research." The meeting will take place Nov 6-8, 2014 in Calgary, Alberta. Keynote talks will be offered by Dr. Rogers Prize-winner Sunita Vohra, MD, Georgetown-based IM-educator, Aviad Haramati, PhD, Rand Corporation cost-effectiveness expert Patricia Herman, PhD, ND, and University of Saskatchewan complementary medicine research leader Michael Epstein, PhD. Abstract submission deadline is June 30, 2014. IN-CAM's current acting director is Ania Kania-Richmond. Comment: This Canadian network has done exceptional work in its decade of existence. We have nothing like it in the United States. The organization's co-founders and co-advisors Heather Boon, PharmD, and Marja Verhoef, PhD are international leaders in highlighting the need to expand our abilities and capacity to research whole practices and whole systems. One sample: Boon is among those on a panel that wil be a "soap-box" on research methods at the International Research Congress on Integrative Medicine and Health. The IN-CAM Outcomes Database is a gift to all interested in coming to understand the value of these practices and disciplines in the real world. An early congrats on 10 years! The Massage Therapy Foundation (MTF) has selected the Samueli Institute to lead an exploration of the impact of massage therapy on chronic pain, and "to identify gaps in knowledge that can help direct future research" according to this release. To begin the work, the two organizations convened a round table discussion with leaders and subject matter experts in both massage and pain management in February 2014. The goal was to formulate a clear research question, namely: "What is the state of the science regarding the impact of massage therapy on function for those experiencing pain?" The project will also "develop criteria that will be beneficial for use in future research articles for integrative medicine." The project is funded by the Massage Therapy Foundation with the ongoing support of the American Massage Therapy Association. The co-director of the special interest group concerned with "CAM" within the American Public Health Association (APHA), Beth Sommers, LAc, PhD, has shared with the Integrator that the group, which has been called the Alternative and Complementary Health Practices group since being formed in 1994 has "officially changed our name." The change came through a vote among members. The winner: "Integrative, Complementary and Traditional Health Practices." States Sommers: "It's a mouthful, but our name expressed the comprehensive and global reach of our work. We use the term ‘health practices' to signify the importance of self-care and self-help strategies as well the use of practitioner-based interventions." Comment: In the move for "good medicine" - that is inclusive, respectful, and multidisciplinary our language must be continually re-adjusted. This looks an enduring handle. AHA, hospital transformation and leadership from the CEO of Hospital Corporation of America: health creation? The cover story in the American Hospital Association's Hospitals and Health Networks flagship magazine showed Jonathan Perlin, PhD, MD, CEO of Hospital Corporation of America (HCA) in pin-stripe suit, maroon power tie against a silvery-glass backdrop that evokes the fine interiors of high end hospitals. The title: "Toward a Healthier Tomorrow." Perlin, the chair-elect for the organization is characterized as welcoming "a powerful, positive, transformation of health care in America." Inside the feature, a subsection is entitled "From Sick Care to Health Care." Perlin speaks of how hospitals "have been honed to focus on sick care," adding: "It is a tough transition, but we have to learn how to move from sick care to health care." Then: "I'm not sure that any of us - big system; small, rural hospital; academic health center; government; or private sector - fully understands or knows the recipe." He believes the AHA can be a powerful convener for making the change. Comment: First, it is a good thing that hospital leaders are distinguishing the two types of care. The humility - "I am not sure any of us fully understands or knows the recipe" - echoes the perspective of Don Berwick, MD when he called recently for a move toward "health creation" as the focus of the industry. Perrin's bio is intriguing, pairing leadership of the for-profit behemoth HCA with a leading role in the Veteran's Administration's transformation during the heyday of its early reform under the visionary leadership of Kenneth Kizer, MD. Notably, the same issue of H&HN included a feature on the money saving value in better linking medicine to mental health care (Mind+Matter=Health Care's New Math). These are birth tremors. The truly tough thing for hospitals is that we need to shrink them, in favor of outpatient models. Can Perlin and the AHA lead that? Still, this move away from merely "sick care" is an opportunity for leadership from integrative health and medicine. This typically monthly Integrator feature reflects a quick capture of highlights from the multitude for links that flow in daily via Google Alerts for "integrative medicine," "complementary and alternative medicine" and "alternative medicine." While my focus is on integrative medicine in health systems, the later search term nets developments from around the world that I began to share for November 2013. Here are 15 selections related to hospitals and medical organization in integrative medicine and 8 from the community, for March 2013. The headline in the Dynamic Chiropractic article is Collaboration for a Cause: Blurring disciplinary lines to benefit the patient: the new model of truly integrative health care. The article is by Sarah Potthoff, DC, the first chiropractor in the ambitious Casey Health Institute, founded in Gaithersburg, Maryland, in 2013. CHI has, besides primary care medical doctors, practitioners of chiropractic, psychology, acupuncture, naturopathic medicine, massage therapy, yoga, meditation, and Reiki "to achieve their vision of truly integrative health care," as Potthoff writes. She describes how collaboration is fostered at CHI, offers three case studies of interprofessional collaboration, and then gives some guidance to her chiropractic colleagues on qualities that will help them get involved in integrated environments. Comment: This is a great little insider's view of a rare but emerging environment of an integrative patient-centered medical home. Notably for the chiropractic field, the most "preferred future" in a recent study of the field by the Institute for Alternative Futures, Chiropractic 2025: - Institute for Alternative Futures, is one in which a growing percentage of chiropractors are pro-actively part of PCMH and integrated care teams. Michael Cohen, has published a useful article entitled "Fee-splitting 101 for Medical Doctors, Chiropractors, Acupuncturists and Others." The topic regards the common practice in integrative environments of offering new practitioners a cut or split of any new revenues he or she generates as a portion, or all, of their compensation package. In his thorough accounting, Cohen notes, among other things, that "kickbacks and fee-splitting are related." He clarifies: "A 'kickback' involves the payment to or from a physician in exchange for a referral, while 'fee-splitting' involves splitting the physician's fee to the patient between the physician and a third-party." The posting is particularly valuable with the 7 links to related Cohen posts. Comment: Michael Cohen, formerly at the Harvard Osher Center, is a practitioner and thought leader in the field, as well as an attorney. If you are engaged in such business practices, especially in California, grab a read! The website for Pacific Pearl La Jolla greets one with "Guarneri Integrative Health Inc", after clinic founder and former interventional cardiologist Mimi Guarneri, MD. 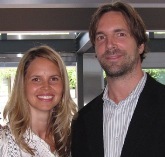 Pacific Pearl features a multidisciplinary team including two other medical doctors, two chiropractors, a massage therapist, and three naturopathic physicians who were formerly leading the Bastyr San Diego campus: Moira Fitzpatrick, PhD, ND, Erica Oberg, ND, MPH and Ryan Bradley, ND, MPH. Guarneri, who founded the Scripps Center for Integrative Medicine, where she worked for 15 years, also serves, according to her bio, as the founder and director of the Taylor Academy for Integrative Medicine and Research. The official opening is May 10, 2014. A grant from the Boone Foundation to develop a training program for delivery of "Dance for All", a therapeutic movement and yoga-based program for adolescents and adults with developmental disabilities. Completion of the organization's first UCLA undergraduate course on 'Maximizing the Social and Emotional Benefits of Arts Education' (Art&Arc 101, here) through the Visual and Performing Arts Education program within the UCLA School of the Arts an Architecture. Kaiser Permanente Educational Theatre, which serves the entire Southern CA region, is offering a workshop of UCLArts & Healing's nationally known program, Beat the Odds: Social and Emotional Skill Building Delivered in a Framework of Drumming, to follow their assembly entitled, "Drummin' Up Peace," on conflict management. A local municipal connection is applying for a State of California Department of Education grant to bring various UCLArts & Healing programs to youth and families in its new comprehensive health and resource center for underserved populations. An active collaboration with the Jewish Family Service in which the agency sets up the UCLArts & Healing program and offers it in another part of Los Angeles, with the JFS covering all costs. 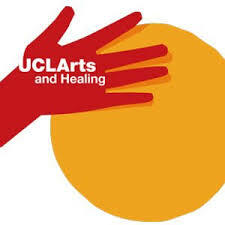 UCLArts and Healing "facilitates the use of the arts for mind/body wellness and healing in the community, as a vehicle for empowerment and transformation." Comment: The arts-healing and integrative health and medicine movements are not typically considered in the same breath. Yet philosophically, the whole person, body-and-mind approaches tend to be fully aligned. I thank colleague Lucy Gonda for the contact - a decade ago - to this leading-edge organization for which I serve as chair of the board of directors. All 16 chiropractic colleges have signed on to participate in a new initiative entitled the Consortium of Evidence-Informed Practice Educators according to this release. The initiative, led by Ron LeFebvre, MA, DC, from the University of Western States, is to "provide leadership, training, and support to those chiropractic institutions and educators dedicated to preparing their learners with the skills, knowledge and attitudes which are necessary to deliver evidenced-informed health care." In addition, "the consortium offers a framework for inter-collegiate cooperation, scholarship, and the dissemination of information." The organization's website is in the works. Comment: This initiative grew out of the so-called "reverse R-25" education grants from the NIH NCCAM that were established to help imbed evidence informed curricula in the so-called "CAM" schools. This initiative runs parallel to that of the Project to Enhance Research Literacy, led by Deborah Hill, MS, at the Center for Optimal Integration: Creating Health. (More soon on this initiative, with which I am involved.) Notably, comfort with, and competency around, evidence is core to Competency #5 of the multidisciplinary Competencies for Optimal Practice in Integrated Environments. An April 9, 2014 release has announced that Vanderbilt's Center for Integrative Health is now the Osher Center for Integrative Medicine at Vanderbilt University. The announcement followed a $5.5 million donation from philanthropist Bernard Osher. 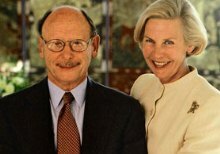 The grant was given through the Bernard Osher Foundation and connects Vanderbilt with three existing Osher Centers for Integrative Medicine at the University of California, San Francisco, Harvard Medical School with a clinical program at Brigham and Women's Hospital and at the Karolinska Institute in Stockholm, Sweden. The release notes that the integrative medicine program at Northwestern University in Chicago also is becoming an Osher Center. Comment: Power-up! The 4 locations will create a nice W, E, S, N grid of Osher connectivity in the US - UCSF-Harvard, Vanderbilt-Northwestern - with an anchor at the home of the Nobel. Early notice: July 2015 conference on the "Process of Integrating Evidence (PIE) for CAM Educators"
A multidisciplinary group of educators and researchers, led by Cyndy Long, MS, PhD, from Palmer College, is developing a conference entitled "Process of Integrating Evidence (PIE) for CAM Educators" that will be held on the Palmer College of Chiropractic campus in Davenport, IA, July 9-11, 2015. Among those involved are Beau Anderson, PhD, LAc, a leading researcher-educator at Pacific College Oriental Medicine, Ron LeFebre, MA, DC, from the University of Western States, and Deborah Hill, M.S., project manager for the Project to Enhance Research Literacy at the Center for Optimal Integration: Creating Health. Comment: I like the title although I would guess that taking a slice of this is hardly the first choice of PIE for many integrative health educators. What this PERL group discussion shows is that taking a bite of this is to invite as much cultural change inside these institutions as insertion of integrative health and medicine asks of regular payment and delivery institutions. A recent president's message from American Holistic Medical Association leader Molly Roberts, MD describes steps being taken by that organization in is exploration of a merger with the American Board of Integrative Holistic Medicine into a new Academy of Integrative Holistic Medicine. The announcement is part of a planned roll-out of this change that, according to Roberts, will include a series of supportive columns from the organization's past presidents. Roberts characterizes the move as "an exciting time for our profession as we birth something that is greater than the sum of its parts." The Academy (AIHM), according to this release, is planned to be a broader, multidisciplinary organization with an international reach. AHMA, founded in 1978 to convene the pioneers in the holistic medical field, has become a more broadly integrative organization in recent years through changes in its membership guidelines. Comment: I was honored to be pulled into the conversation about the emerging Academy through a call last October from long-time holistic leader and colleague Scott Shannon, MD. My excitement with the potential for the AIHM's big tent led me to pull a couple of my other colleagues into the dialogue and to recently accept a position on the Academy's board of directors. I'll be chronicling its activities. Trends and "Tremors in the Massage Industry"
In an article in Massage Today entitled "Tremors in the Massage Industry", Pete Whitridge, president of the Alliance for Massage Therapy Education, provides useful trend data on the field. From a high of 1600 massage schools in 2008, the numbers today have dropped to 1300 since the crash. Student enrollments are down 18.8% since 2011 and down a full 50% since 2005. Of the schools, roughly 52% are sole-owner (versus corporate) proprietary, and of these just 20% have sought any form of accreditation. Overall, 60% have some accreditation. In general, corporate, university and "career training institutes" are drawing more students. Noting that many graduates "struggle to establish an economically viable practice," Whitridge asks: "How can we have so many schools and so few 'quality' therapists?" He concludes bluntly: "Growth within the massage education industry has ended." Comment: The core health system issue not engaged by Whitridge in this article is the tough to estimate answer to this two pronged question: What would the massage workforce be in an optimal delivery system in the United States, and what level of training of these therapists is needed? Not mentioned by Whitridge but significant in the field's stuttering decline is that only roughly 7% of the 1300 have chosen to seek accreditation through the field's US Department of Education-recognized accreditation body, the Commission on Massage Therapy Accreditation. Single purpose accreditation is a unifying, powerful force in all healthcare professions. Massage may be exceptional. I doubt it. The field is shooting itself in the foot by not setting a higher and unified bar. Follow-up: The March Integrator Round-up featured the first of two investigative pieces from MP Media publisher Donald Peterson about the leadership of the American Association for Acupuncture and Oriental Medicine ("National acupuncture association and president Michael Jabbour taken to task in 'AAAOM - Making Promises it Can't Keep'"). I supported Peterson's view that Jabbour should step down from this presidency of AAAOM. Peterson subsequently published "AAAOM-The Beginning of the End (Part II): Leadership was warned of the organization's incompetence long ago." Jabbour has since resigned. Now the question is: who in that field will pick of the pieces? The professional organization representing midwives most likely to be involved with out-of-hospital and homebirth, the National Association for Certified Professional Midwives, has had its application for membership accepted to the International Confederation of Midwives. The latter, according to NACPM, is comprised of 108 midwives associations, representing 95 countries across every continent. Together they represent more than 300,000 midwives globally. NACPM is pleased to have the opportunity to participate in the ICM alongside the American College of Nurse-Midwives and the Midwives Alliance of North America, both long-standing ICM members from the United States. In a note to members and supporting, NACPM noted that its president Ellie Daniels, CPM and executive director Mary Lawlor, CPM will be the first NACPM representatives to participate in the ICM Council of Delegates, which meets this June 2014 in Prague, Czech Republic. On April 14, 2014, Maryland Governor Martin O'Malley signed a bill to enable naturopathic doctors in Maryland to become licensed to practice naturopathic medicine. Maryland becomes the 18th state to regulate naturopathic doctors. According to a joint release from the Maryland Association of Naturopathic Physicians and the American Association of Naturopathic Physicians, the bill received strong bipartisan support, culminating four years of effort by naturopathic doctors in Maryland to gain licensure. The release notes that "after opposing licensure for four years, the Medical Society representing Maryland physicians dropped its opposition, largely because a growing number of MDs who strongly supported the bill." One strong supporter was Peter Beilenson, MD, of the Maryland Department of Health and Mental Hygiene and former Commissioner of the Baltimore and Howard County health departments, and current President and CEO of the Evergreen Healthcare Co-Op. The release notes that "a turning point" in the licensure effort came when Maryland's Health Secretary, Joshua Sharfstein, MD and leaders from the Maryland General Assembly visited the Casey Health Institute in Gaithersburg, Maryland. The policy makers were "impressed by the patient-centered, integrative approaches being used there to treat patients." The Academic Consortium for Complementary and Alternative Care (ACCAHC) has created a new set of Useful Resources that can be freely accessed by the community. Included is some of the work-product of this interprofessional academic group, founded in 2014, with which I am involved. Included are 11 papers, 4 posters and 25 presentations, plus various media links, podcasts, and meeting materials for past Biennial Meetings. ACCAHC's core membership includes 17 national organizations and nearly two dozen individual colleges and universities linked to the licensed integrative health and medicine fields. The resources include significant work in interprofessional care, integration competencies, national policy, and promotion of whole practice/system research as a priority in research funding. Comment: Renee Clugston did the work of putting these up. For me, this effort was a remarkable review of work engaged since the founding of ACCAHC, under the direction of Pamela Snider, ND, in 2004. Take a look. We hope it is useful to some of you. The Naturopathic Doctor News and Reviews(NDNR) has announced the release of the Library, a free online directory of 9 years of back-issues in an e-version format. This clinician-focused monthly includes among its contributors the presidents of the accredited naturopathic universities, naturopathic associations, and leaders in a diverse range of naturopathic modalities. The Library can be accessed on any web-enabled device, such as a smartphone, tablet, PC, or laptop. E-version readers can perform keyword searches within individual articles, print, and access additional content found only on NDNR. Comment: The NDNR, originally a labor of love for its founders, quickly lived up to its present self-description on its site: "Starting in 2005, NDNR is the leading clinical information resource for naturopathic physicians in North America. It serves as a dynamic voice for the advancement of naturopathic medicine by informing and educating physicians in the recent developments of the practice of natural medicine. NDNR includes current protocols, practice management, business development, marketing, clinical research, news and more." An integrative academic consortium has posted a release on the publication of the 2nd edition and e-version of its heralded Clinician's and Educators' Desk Reference on the Licensed Complementary and Alternative Healthcare Professions. The text, developed by the Academic Consortium for Complementary and Alternative Health Care (ACCAHC) in partnership with leading national organizations for the disciplines covered, was developed in the context of the mode toward interprofessionalism and team care. "Quality team care rests on quality information," notes Elizabeth Goldblatt, PhD, MPA/HA, the book's lead author, a member of the Institute of Medicine's Global Forum on Innovation in Health Professional Education, and ACCAHC's chair. She adds: "We undertook this project to provide this platform to expand the kinds of integrative, team-based practice that increasing numbers of patients are not only choosing, but demanding." The book is available in multiple formats: as paperback, as a free downloadable pdf, as an iBook (in the iTunes Store) for the Kindle, and as an ePub file. Read a recent review of the CEDR here. For comments from educators from over a dozen disciplines on the CEDR, please click here. Comment: It is remarkable how guaranteed the response of even those imbedded for decades in this movement are to this text, with which I have been involved and am a co-author: I was surprised by what I didn't know - even about my own profession. My own fancy with this text is that all of the fields would realize that this is a book - because of its origin in partnership - in which every field can have say over their profession's portrait as it is encountered by others. Would it not be a good thing to given all health professions students a more elevated view than them seeing each field through the lens of a single author's biases. In a case of classic revolving doors, the Natural Products Association (NPA) announced on April 8, 2014 that Daniel Fabricant, PhD, until recently the director of the Division of Dietary Supplement Programs at the U.S. Food and Drug Administration (FDA), will be the organization's new chief executive officer (CEO). According to this notice from the American Botanical Council, prior to his FDA post, Fabricant was vice president of global government and scientific affairs for NPA, during which time he served as acting CEO for several months in 2009. Natural products industry maven Loren Israelson, head of the United Natural Products Association offered this perspective: "Dr. Fabricant knows the Natural Products Association and the industry well, and his skills will only be enhanced by his work at the Food and Drug Administration." NPA is the largest and oldest organization representing the entire natural products industry, with more than 2,000 members in all 50 states and internationally, accounting for over 10,000 retail, manufacturing, wholesale, and distribution locations of natural products, including foods, dietary supplements, and health/beauty aids. My colleague and friend William Wulsin, MA, ND, LAc, MPH included me in an electronic update on efforts in which he has been involved with Seattle-based acupuncturist Jordan Van Voast, LAc, founder of Communi-chi, to provide stress-reducing support services for the families and workers involved with the devastating mudslides in Oso, Washington. The acupuncturists, using the 5 point needle technique, served patients at the Oso Command Center and at community centers in Darrington and Arlington. The team found that shifts between 4:00-8:00 PM are the best. The group organized through a Facebook page here. The April 2, 2014 e-note from Van Voast and Wulsin concludes: "Over the past week, we have participated in an unprecedented coordinated action for Washington state acupuncturists." Over 40 deaths have been associated with the mudslides. Comment: Good to see this level of integration into an incredibly important community horror story. I can only imagine the value that sitting in the chair with a few other nearby, getting needled, has had. For nine years, integrative medical doctor Tanya Edwards, MD founded then directed the Cleveland Clinic Center for Integrative Medicine. Edwards died in early March 2014 a day before her 54th birthday. The Cleveland Plain Dealer article on Edwards notes that she developed group[ medical visits for acupuncture treatment, to keep community costs down, and more recently developed the Chinese Herbal Medicine Clinic. Edwards formerly led integrative medicine at Case Western Reserve University. A month before her death, the Cleveland Clinic renamed the Center the Tanya I. Edwards Center for Integrative Medicine.